Dezo Hoffmann was a photojournalist in Europe and Britain, who covered WWII and the Spanish civil war. He also worked for the entertainment industry, and later began photographing celebrities. He is known for his documentary work of the Beatles, especially during their early years. 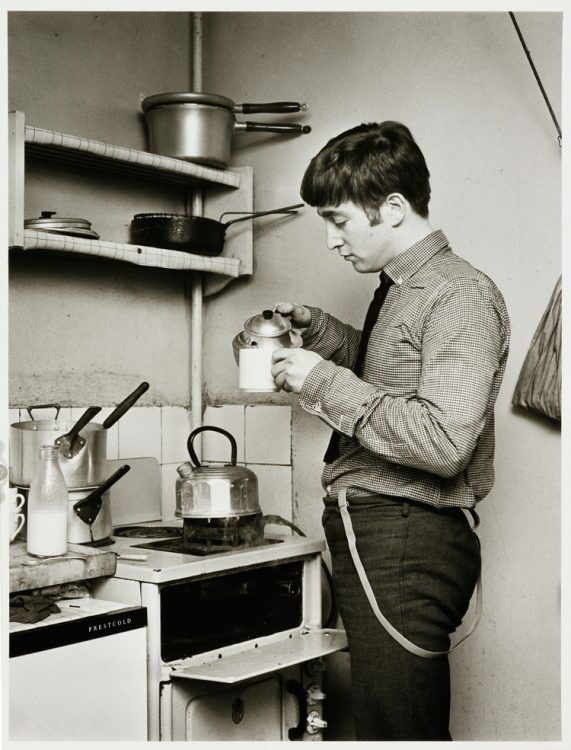 This photograph of John Lennon was taken at Paul McCartney’s house in Liverpool, in April 1963.